As it turns out, the cake is not a lie, and the cake is delicious. Alas, a robotic hand extinguishes the candle and leaves you in darkness before you can eat it! Well, my fiancé and I both love the game, and for his birthday this month I couldn’t help but make the cake. Looks a bit sloppy on the inside, but it was so delicious! I’ll be out of town for my housemate’s college graduation this weekend, so I’m leaving this cake for her and her visitors :) It’s a simple two-layer French vanilla cake with chocolate filling, frosted with a creamy chocolate frosting – the most delicious chocolate frosting. The other night I got a random yearning to bake something rich and chocolatey, and, most importantly, I wanted to eat it. Unfortunately my cupboards were about as desolate as my sweet tooth. I had the basics, but not a lot of time. 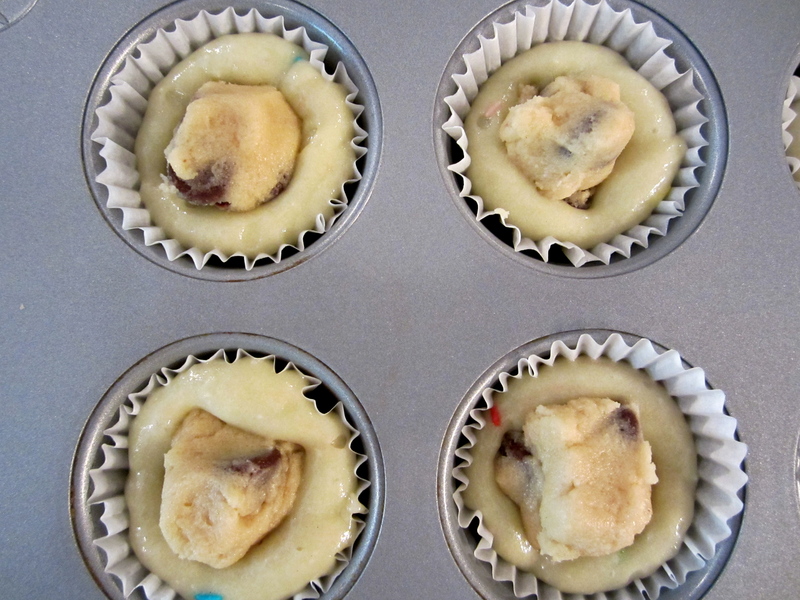 So there I went: the recipe from the side of a cake mix box. The day after my last post (which was entirely too long ago), my wonderful man asked me to marry him. 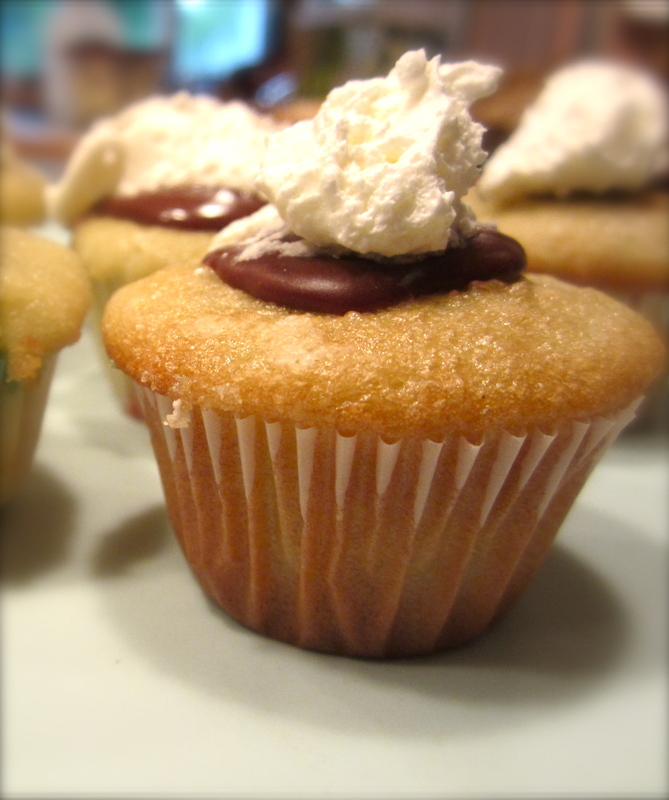 The day after that, I made these cupcakes. Then I hit the ground running with school and rehearsals, and needless to say I’ve been too occupied to post. 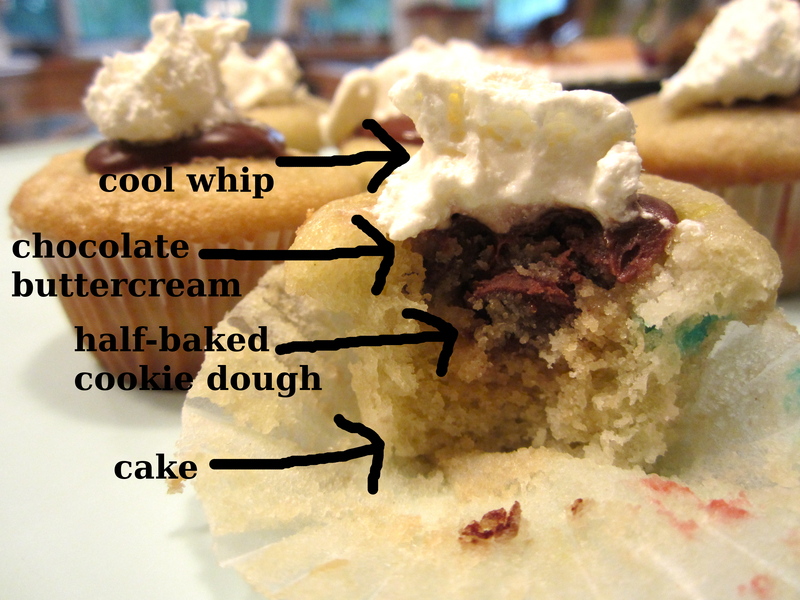 I put a small glob of chocolate icing on top of the cookie part, and then dolloped each one with cool whip. Then the best part – I kept them refrigerated. They were okay at room temperature, but they were great cold. 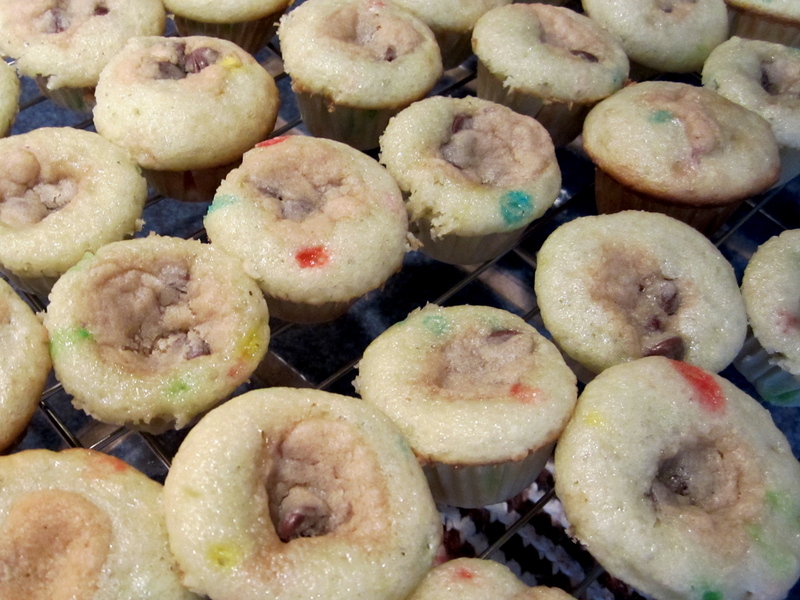 If I did them again, I would definitely use more cookie dough in each cupcake – and maybe less cake batter. Welcome to dolcetti di vita - the product of an amateur baker's commitment to absorbing life's sweet little things. Check out the "About" section for more information. Choose from the categories below or browse recent posts, and of course feel free to share your feedback! *NEW! * Click the "Orders" tab for information about custom orders.